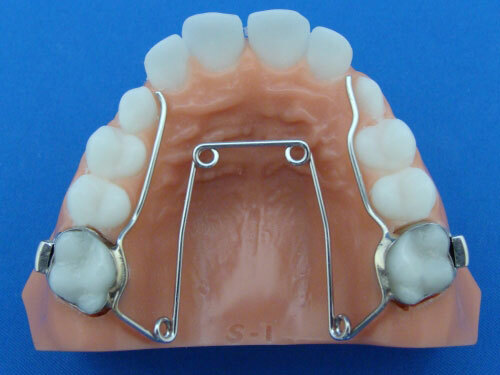 The Fixed Quad Helix is attached to the first molars on either the upper or lower arch. 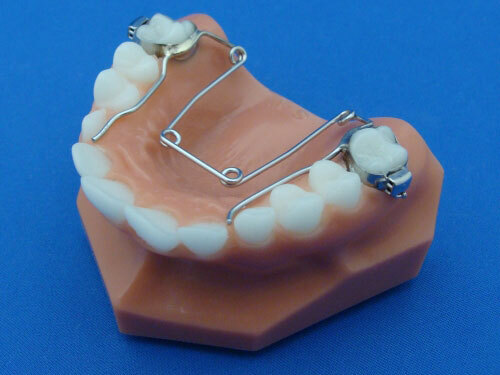 The .036-inch stainless steel wire is contoured to the arch with 4 helical loops to help stimulate expansion. The sweep arms are contoured to the gingival of the bicuspids and cuspids. 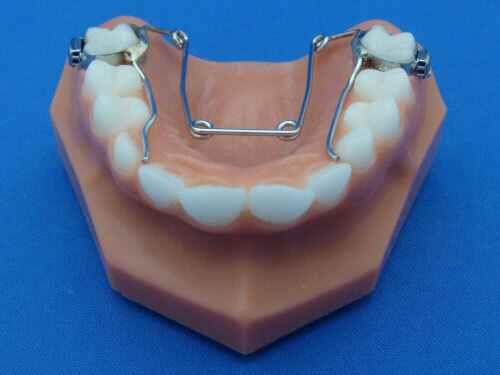 The lingual extensions can be extended to the anterior teeth if desired. Copyright 2019, Specialty Appliances. All rights reserved.